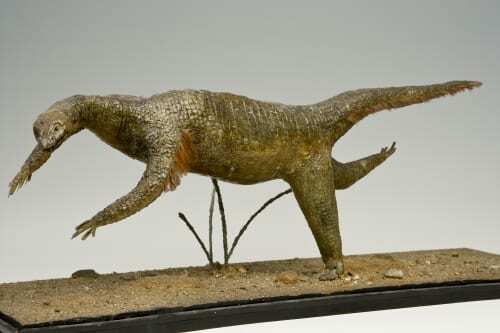 This model is probably a little over 100 years old, and is made of wire, wax and real feathers. 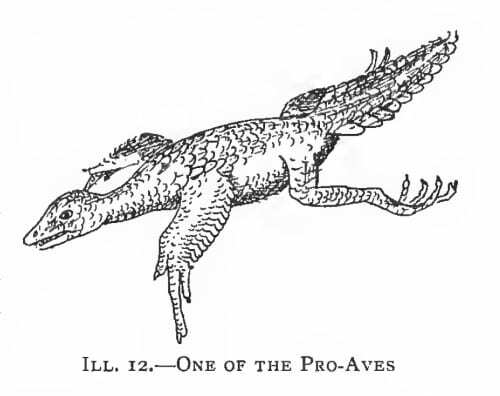 It was based on a sketch of the hypothetical ‘Proavis’ or ‘Pro-Aves’, a theoretical missing link between non-avian theropod dinosaurs and early birds such as Archaeopteryx. The term was coined in 1906 by Zoologist William Plane Pycraft who believed that flight in early birds developed from gliding between trees. One year later Hungarian palaeontologist Franz Nopcsa published his own version of Proavis, he proposed that flight developed when running dinosaurs used flapping motions to run faster and jump further. As you can see our model was probably based on the Nopcsa version of Proavis, although both look a little strange to modern eyes. 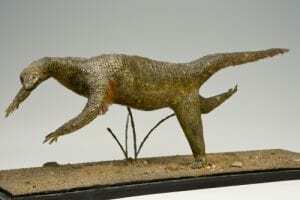 Our wax model originally came from the University Museum of Zoology, Cambridge, and may have been made by a student at the University. However, the charms of Proavis were not appreciated in Cambridge and the model was earmarked for disposal in the 1990s. 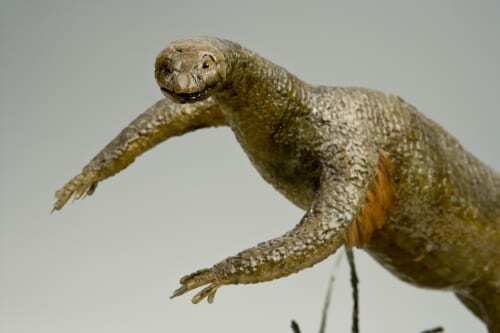 Zoologist Mike Coates rescued it and kept it in his office, bringing it to UCL when he changed jobs. Eventually he donated it to the Grant Museum when he moved overseas, fearing the delicate model wouldn’t survive the journey. In recent years the model has been conserved as it was fragile and slightly melted. We hope it will now last another 100 years to delight and confuse future generations. 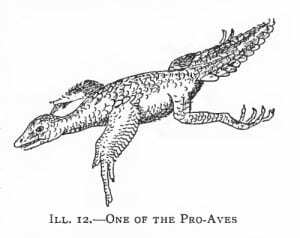 So how do modern reconstructions of early birds compare to our gloriously bonkers Proavis? Pycraft, Nopcsa and other scientists like T H Huxley were correct in their deduction that birds evolved from dinosaurs, but there have been many important developments in our understanding of bird evolution since 1907. 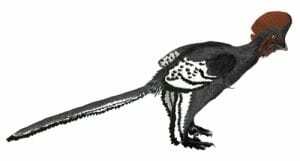 We now know that birds are a type of dinosaur, in fact the only dinosaurs that survived the extinction event at the end of the Cretaceous 65 million years ago. Since the discovery of feathered dinosaurs in China in the 1990s we also have a better idea of what these animals might have looked like. 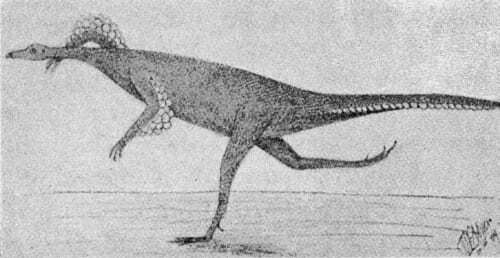 For better or worse modern reconstructions of early birds look more like chickens and less like lizards dancing Swan Lake.